Join us for a first glimpse and live taping of an upcoming, scripted comedy series scheduled to launch this June on a super-secret new audio platform. 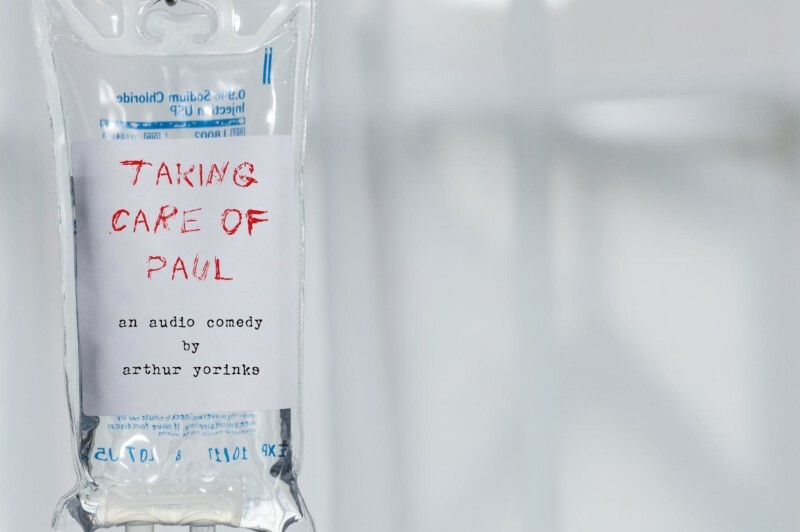 Taking Care of Paul is not a production of WNYC Studios, but it is co-developed and directed by two long time collaborators of ours in The Greene Space: Award-winning playwright Arthur Yorinks and The Flea Theater founding artistic director Jim Simpson. If you’re a fan of Curb Your Enthusiasm, you’ll want to be part of this live studio audience as the edgy new podcast records its entire first season. The cast includes Reg E. Cathey (House of Cards, The Wire), Peter Gerety (Inside Man, War of the Worlds), Stephen DeRosa (Boardwalk Empire), Steve Mellor (Sleepless in Seattle), Jay O. Sanders (The Good Wife), Maryann Plunkett (Blue Valentine) and Rocco Sisto (The Sopranos). The series features brief audio cameos from James Taylor, Paul Shaffer and several other legendary musicians. Please note: This performance is for mature audiences only and contains explicit language.